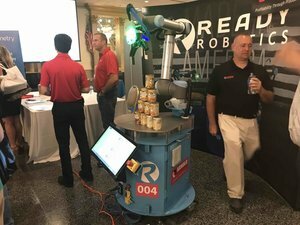 Ben is the co-founder and CEO of READY Robotics. He previously ran a team at Johns Hopkins Technology Ventures, focused on commercializing novel technologies created at one of the countries largest research universities. During his time there, he helped spin out technologies ranging from organic electronics to immuno-oncology to (of course) robotics. He holds a degree in economics from Johns Hopkins University.